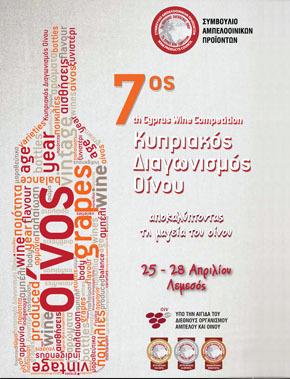 Wine Club of Famagusta in collaboration with Wine Products Council (WPC), held its 2nd Presentation Fair of Cyprus Wines at “Laxia Palace” in Paralimni, Friday, March 2, 2012. The contribution of WPC as co-organizer of authority is part of its policy to growing wine culture and becoming acquainted with the richness of the wine country. It should be noted that it is the second time such event takes place in the free area of Famagusta and was generally acknowledged great success attracting more than 1500 visitors, friends and wine professionals. This area is of particular interest for the Cyprus wine industry, given the fact the large number of tourists it attracts and the increasing interest of the local population about the wines wealth of our country. This fact was strongly embraced by winemakers (including a bottler), who participated massive, showcasing their wines. The opening of the Fair was officiated by honorable Minister of Communications and Works Mr Efthimios Flourentzos, demonstrating the practical support of the state in such efforts, which aim to support the economy but also a tradition of our country.